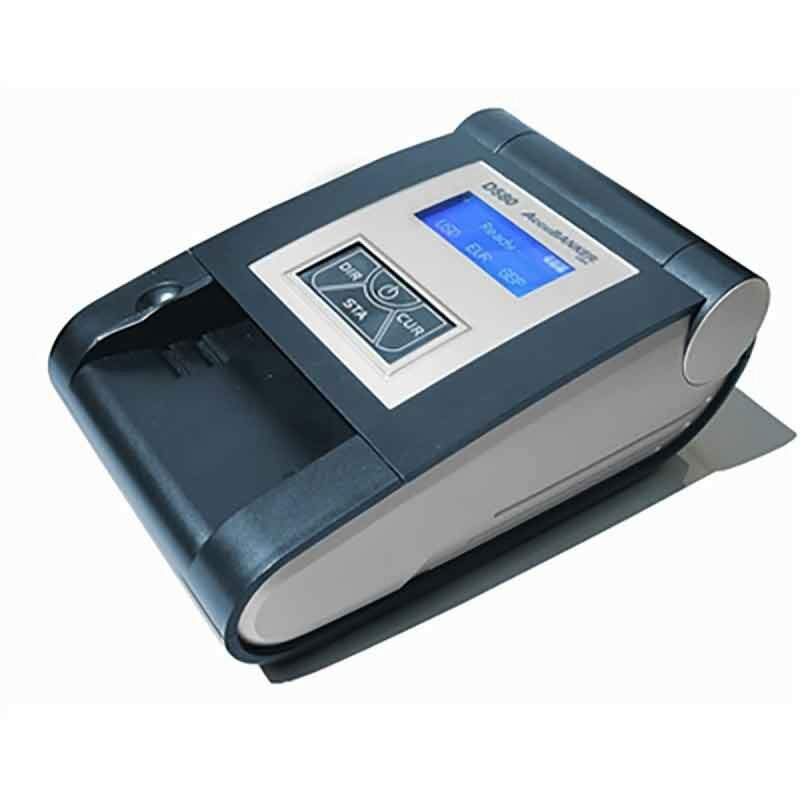 The AccuBanker D580 Pro Authenticator Multi-Currency Detector saves time and money. Identify, detect and count with the latest in multi-currency identification technology. The is capable of discriminating between multiple denominations, while using 5-point banknote security technology to verify the authenticity of bills. Dimensions: 5" x8.5" x 3.5"
Magnetic Detection: Verifies magnetic ink authenticity.